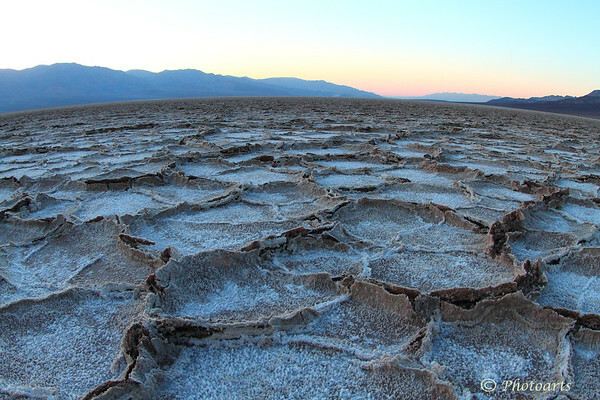 Giving up on the flat horizon convention in photography, a fisheye lens brings in some details and gives depth to this unique desert landscape called Badwater salt flat in Death Valley National Park, some 280 ft below the sea level! Wonderful shot and the fish-eye lens adds to this beautiful scene! Excellent shot! I do like the effect of the fisheye. Well done. I like your choice here, though there is something vaguely ironic about using a fish-eye lens where there have been no fish for millions of years.